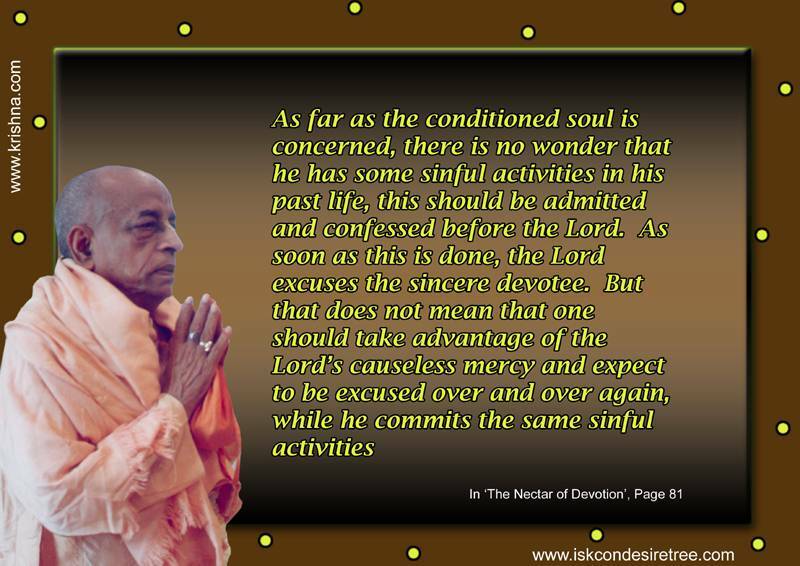 As far as the conditioned soul is concerned, there is no wonder that he has some sinful activities in his past life, this should be admitted and confessed before the Lord. As soon as this is done, the Lord excuses the sincere devotee. But that does not mean that one should take advantage of the Lord's causeless mercy and expect to be excused over and over again while he commits the same sinful activities. – The Nectar of Devotion, Page 81. 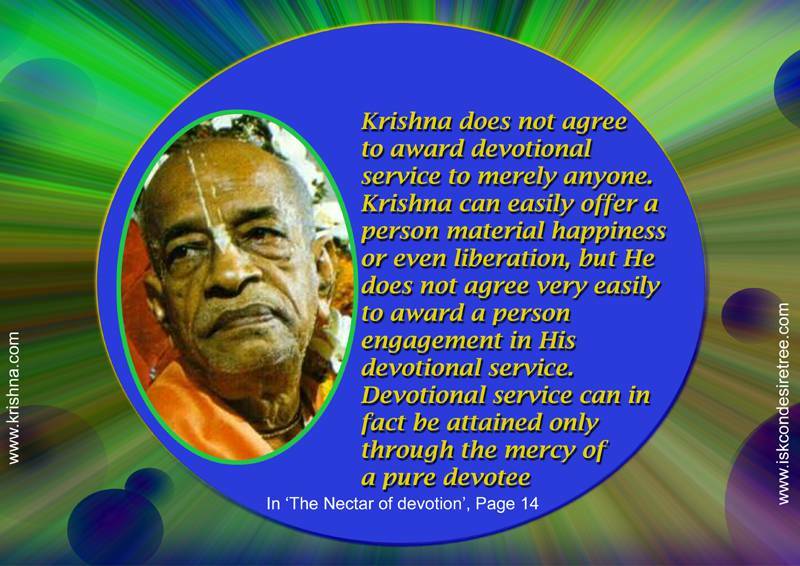 Everything belongs to Krishna, everything should be employed in the service of Krishna. 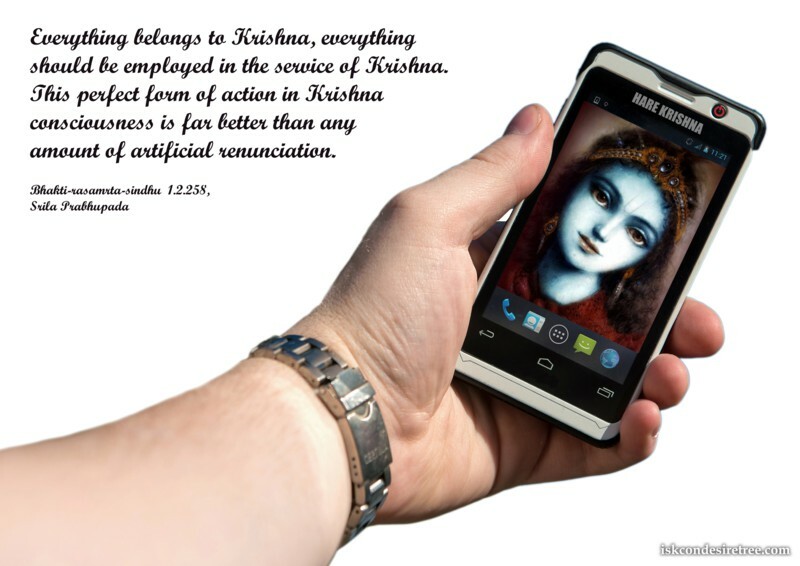 This perfect form of action in Krishna consciousness is far better than any amount of artiﬁcial renunciation. One should learn how to cry for the Lord. One should learn this small technique, he should be very eager and actually cry to become engaged in some particular type of service, This is called 'laulyam' and such tears are the price for the highest perfection. If one develops this 'laulyam', or excessive eagerness for meeting and serving the Lord in a particular way, that is the price to enter into the kingdom of God. — The Nectar of Devotion, Page 83.